Prescription drug coverage contains a gap called the “donut hole” that starts once you have reached your coverage limit ($3750 in 2018) and ends once you have spent $5000 in drug costs. Each of these costs are $50 higher in 2018. Once in the donut hole – you will pay 35% of brand name drug costs and 44% of generic drugs. These costs are down 40% and 44% respectively. Part D deductible will be $405, an increase of $5 from 2017. To reduce the potential for identity theft and senior fraud, all beneficiaries will receive new Medicare ID cards that will no longer include Social Security numbers. Cards will be sent between April 2018 and April 2019. Your new Medicare Number will be randomly selected. Once you have received your new card, shred and dispose of your old card. Although 2019 Medicare Part B rates have not been set by the Centers for Medicare and Medicaid Services (CMS), those with incomes over $160,000 ($320,000 for a married couple) will pay the higest Part B premiums, (lowered from $241,000 for individuals and $480,000 for married couples in 2017). People with incomes between $85,001 and $107,000 ($140,001 and $214,000 for married couples) will not see change. One in 4 people are enrolled in a Medicare Supplement Plan, also known as Medigap. Plans supply coverage for the “gap” in Original Medicare, and covers items such as deductibles, coinsurance, and copayments. You must have Medicare Part A and Part B to enroll in a Medicare Supplement Plan. Availability and premiums are based on the type of plan, and may be based on your resident state and zip code, age, tobacco use, and medical underwriting. Discounts may apply. Approximately 31 % of people with Medicare are enrolled in a Medicare Advantage Plan last year. Many plans will be available in 2018, and some have $0 cost. It is important to review changes in coverage options. I am concerned that the proposed tax plan would eliminate the ability to deduct state and city taxes. In NY these taxes are very high. But I am defnately in favor of the tax changes that would encourage companies to relocate in the USA. Lower corporation tax rates would also stimulate job growth. I want to get out of United healthcare offered by AARP. 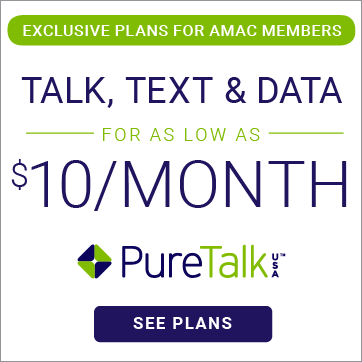 Does AMAC offer better Medicare supplement plans? I want to get out of United Healthcare offered by AARP. 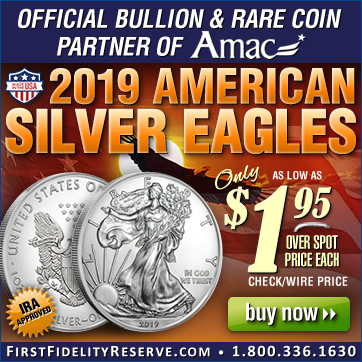 Does AMAC offer Medicare plans that are better? We need tax reform. Suggest a 10% reduction for all federal workers across the board including the elected officials. Now that would amount to around 50 billion dollars per year. As the federal workers now make more salary than the public jobs, this is fitting. The 50 billion then should be earmarked for medicare. Remove disability from medicare and move the care to medicaid under state control. This would save another 10 billion. Cut all foreign aid to be!igetant countries. This save 20 billion. Charge foreign students higher tuition than American students for advanced studies . Remember to reach the donut hole both plan and patient costs count but to get out of the donut hole only patient costs count! Why do retired military have to pay taxes on their retirement and have Medicare taken from their retirement? It’s just like seniors having to pay school public school taxes until we die so our public schools can make children Jesus haters. I have not read nor heard from any media about the exemption from OBAMACARE that was provided for government employees, congress and all the governmental parasites throughout the USA. was this rescinded ? If not I would greatly appreciate the current administration much more if this exemption were lifted today. If I am mistaken I would appreciate being corrected. As it stands as a retired couple, my wife and I will continue to spend nearly 40% of our pension income and social security on taxes, insurance and medical bills. The remaining resources we have cover food, utilities, house payment and of course the cell phone, internet, tv costs. I have listed them in order of importance. You will note there was no mention of vacation, travel, leisure except for those elements which are free. If anyone has a list of those free items it would be appreciated. The 4 to 14 years left in Social Security solvency just got closer to 4 years.